You can find a list of Rite Aid sales/coupon matchups HERE. You can find a list of sales/coupon matchups for Walgreens HERE. 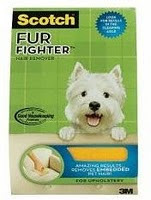 Go HERE to request a sample of Bounce Dryer sheets. 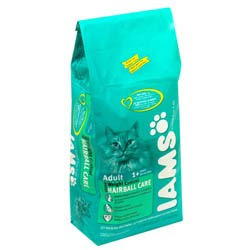 You do not have to be a Sam's Club member to receive. TODAY only, Ann Taylor is offering $20 off any pair of pants, when you try on a pair in the store. Looking online I found a few pairs of sale pants for $19.99 and $29.99. GO HERE to print coupon to bring with you. This offer is good TODAY only! Print your end of the month coupons now! Coupons. com and other coupon sites will be changing out their coupons at the beginning of March, so print any that you think you may need before they disappear. Be on the lookout for the new Walgreens Coupon booklet for March. It should be at the front of the store by the weekly fliers. The March issue has over $187 in savings of Walgreens coupons that can be combined with manufacturer coupons, good all month long. Check it out the next time you are in Walgreens! 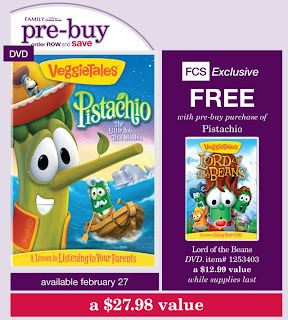 Family Christian Stores will be premiering their newest Veggie Tales movie "Pistachio : The Little Boy That Woodn't". It will be shown in its entirety at 10 a.m., 12 p.m. and again at 2 p.m at Family Christian Stores on Saturday Feb 27. For more information about the event, click HERE. To find a location, click HERE. Yet another fun magazine you can subscribe to for free! 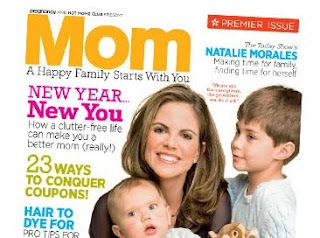 Check out Mom magazine, from the editors of Parenting and request their premier issue. Sign up HERE. The Children's Place is currently offering FREE shipping on any size order with code FSFEB2010. You can also stack code FAMILYA9 for an additional 15% off. They have a bunch of items in the clearance section as well! Remember the Lee Jeans promotion I told you about way back in Dec 1 where if you became a fan on facebook they would send you a pair of Slender Secret Lee jeans? Well, after no emails and no contact from them for months, I thought it was a lost cause until the jeans showed up today on my doorstep! Yahooooooooo! If you signed up and became a fan, have you received yours yet? 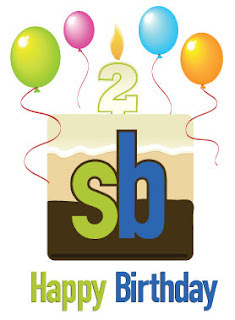 Swagbucks turns 2 today and they are celebrating big! 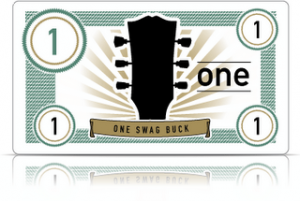 First, Swagbucks made a recent change and starting today, you will notice that your bucks have been mulitpled by 10, so if you had 20 Swagbucks before, you now have 200. They are offering a bunch of codes today as well on their facebook, twitter and blog and just by traditional searching on their website. I won 20 bucks just on my first search! Jennie-O is now offering a $5 rebate for any turkey product. The first 25,000 to register will score a rebate for the purchase price of one Jennie-O product (up to a $5 value)! Just head on over HERE to create an account and then login after you register. Finally you’ll be able to click on the “Coupon and Offers” box on the right hand side to print your rebate form. Its almost that time of year again!!! Garage sale season! 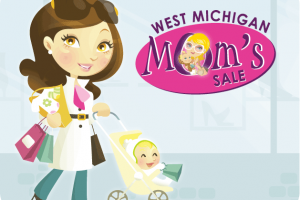 Check out the West Michigan Mom sale on Saturday March 20th from 9AM-3PM at the Delta Plex in Grand Rapids. This sale is, without doubt, the best place in West Michigan to bargain shop for gently used baby/children’s clothing (up to size 8), toys, baby gear, baby/toddler furniture, and maternity clothing. Admission is $3 per person. Children 12 and under are free. Parking is free. If you are reader of this blog and have been signing up for the freebies posted, be on the lookout for a bunch to arrive this week! FYI- Alot of these came in plain envelopes, so don't toss thinking its junk mail. 2 Digornio 200 calorie pizza coupons-2 free pizzas! Oreo Cakester coupon good for free cakesters! Beech Nut is offering a free toddler welcome packet HERE. It will include coupons to get full-size products absolutely free! If you signed up for the Beech Nut Baby kit a while ago, you should be able to sign up for this as well. CVS has Huggies wipes(the small boxes) 2 for $5, however the large 216 ct refill packs are also ringing up for $2.50 each. These typically run $7.99 per package! I believe you need a CVS Extra Care card to do this deal. 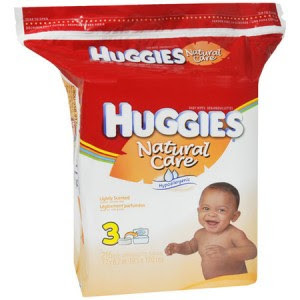 Some CVS cardholders are reporting that scanning their card also gave them a $2.00 off Huggies wipe coupon as well, making them $.50 each. As always, price scan the item to make sure they are ringing up 2 for $5 before purchasing. Confirmed! This does work. You do need a CVS card. If you don't have one they will get you on right on the spot in store. However, I had great success at Lake Drive in EGR and Fuller/Leonard in NE Grand Rapids. Both were completely stocked and the sales clerk were surprised by the pricing. However, I have a feeling this deal won't last long. 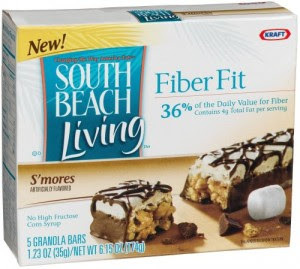 Go HERE to get a sample of South Beach S'more Bar. Walmart is giving out samples of Olay Total Effects Body Wash. Get yours HERE. Head over to Swagbucks home page and click on the special offers box(left side of page). The the blue offers box. Skip through the offers until you find the code. Go back to the home page and enter it in the code box. What is swagbucks? Its similar to a google search engine, however, you are rewarded with swag (points) that you can redeem for gift cards or merchandise by searching. Its free to join, easy to use and 45 swag bucks=$5 Amazon gift card. This is a great way to earn Amazon gift cards all year long and redeem for larger items. Sign up HERE. Meijer now has a list of printable beauty coupons that you can stack with manufacturer coupons. Dave Ramsey Live $9.99 tickets! See Dave Ramsey Live for $9.99 per ticket! 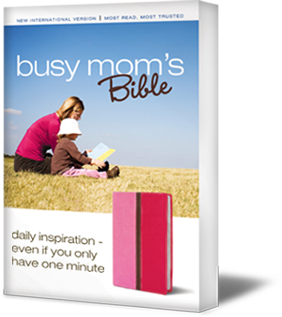 Click HERE to sign up for the Busy Mom's Bible published by Zondervan. You can find a list of Meijer coupon matchups/sales HERE . You can find a list of coupon matchups/sales for Walgreens HERE. You can expect THREE coupon inserts in Sunday's paper. One from Red Plum Smartsource and P&G. Remember, coupons and inserts do vary by region. On Sunday February 21st from 4-7pm the Muskegon Winter Sports Complex inside Muskegon State Park presents Family Flurry 2010. All people attending the event can experience ice skating, cross-country skiing and the luge track. Here's the best part, the entire thing is FREE! In addition to the activities, grilled lunch/dinner will be available for a nominal fee. .09 per bag. This would be a great donation for the human society. You can now score the Entertainment Book for 40% off. This a great resource. Each year I use it to help us save $$ on local restaurants, travel expenses, and entertainment activities (bowling, mini-golf) etc. For us, it makes going on a date night alot more feasible. If you are an ebates.com member, you can shop through ebates first and get an additional $6 back! Walmart is giving out Crest 3D Whitestrips. Click HERE to request yours. You can skip the intro and then look for the sample tab to fill out your information. While at Meijer this week, be on the lookout for the Glade Sense and Spray Starter Kit! You will receive a $2.00 ONYO for each Glade purchased!! Meijer has some smokin' hot deals this week. This was my trip this morning broken down into two transactions. We don't eat all boxed food:)I specifically bought a bunch of potatoes and hamburger helper to donate as it was FREE or almost free and have a stocked fridge of fruits, veggies, dairy, etc. To see the matchups at Meijer this week check out the Savings Addiction website HERE. Mercury Magazines is giving away a years subscription to Midwest Living. So see if you qualify, click HERE. These magazines do come, no credit card needed and you will never receive a bill. 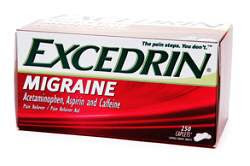 Check your mailbox for the Free Excedrin that was posted last Thursday. I can't believe it showed up already! 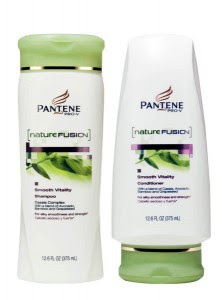 If you are a member of Vocalpoint, sign into your account and sign up for the full size sample of Pantene Nature Fusion Smooth Vitality Shampoo. Not a member? Sign up HERE and then go to this link HERE to login. You can receive a sample of Tide Plus Febreze Freshness sample HERE. P&G has a new magazine out called Rouge. The magazine is completely FREE to request and includes Proctor and Gamble coupons in each issue. Also included are beauty news and tips, fashion trends, etc. Go HERE to request your FREE Subscription of Rogue magazine. Dole just released a great high value coupon. 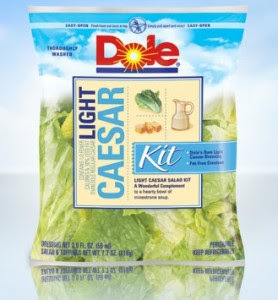 Just go HERE and use zip code 77477 to print a coupon valid for $0.75 off any one Dole Blend, Distinctively Dole Salad or Complete Salad Kit. Looks like Meijer has these for $1.00this week, so $.25 after coupon! You can expect ONE coupon inserts in Sunday's paper. One from Red Plum, Smart Source and P&G. The P&G insert has over $73 worth of coupon. Remember, coupons and inserts do vary by region. 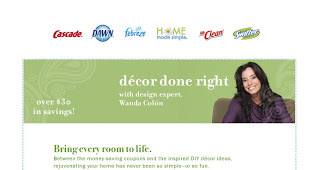 You can see a complete list of coupons at Stretching a Buck Blog. 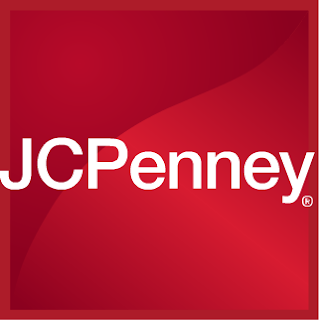 JCPenney just released a $10 off $25 printable coupon HERE. Valid 2/14-2/27. JCP has a bunch of winter clearance at the Rivertown Mall right now. The womens/petite/plus size section has racks and racks of clearance, but hardly any mens, kids or infants. I believe everything was 50-80% off. This coupon would make more fantastic deals! Target has been having alot of great clearance finds in the health and beauty departments. I was able to snag this Faith Hill 2 piece perfum set for $1.98!!!! Regular $19.99, but retails for $22. Keep your eyes peeled for it at Target. I saw it last week for $9.98 and decided to wait and it was $4.98 today. Use this $3 coupon HERE. Also in the clearance section was a bunch of Dove Men + Care Body Wash and Body Bars. The 4 pack body bar came with a free mini body wash and was on clearance for $3.38. 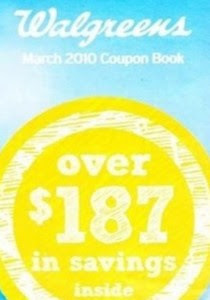 You can find a $1.75 off coupon HERE or in the 1/31 RP. Also use a $1.00 off Target coupon HERE to make your total $.63 for 4 bars and one mini body wash.
Home Made Simple has a new link posted for the $30 coupon booklet. 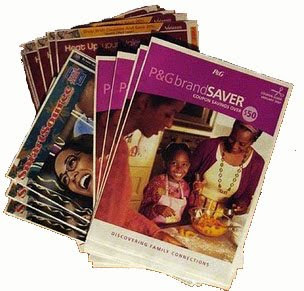 This booklet is full of P&G coupons and is mailed to you. Walgreens just issued a 15% off coupon good only on Feb 12. You can print the coupon HERE. You can then turn this into a HOT Huggies Diaper Deal! Go HERE to answer the question about pain relief. Do NOT choose excedrin as an answer, then fill out your mailing info. The coupon for a free bottle (up to $5.99) will be mailed to you in a few days. 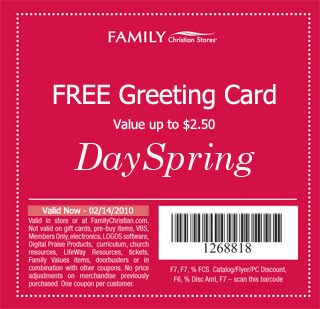 Family Christian Stores is offering a free Dayspring greeting card. No purchase needed and valid until 2/14/10. You can print the coupon HERE. Also, a list of store locations HERE.